Finished main part of bed. The next step was to construct the side pieces. 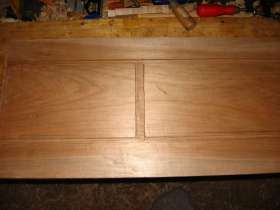 The top side of the bed is about 1 inch taller then the bottom skirt. 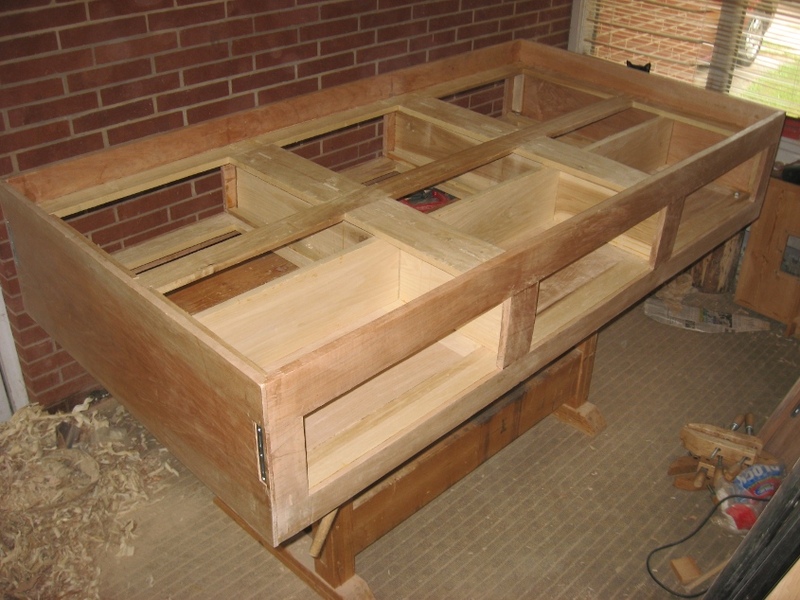 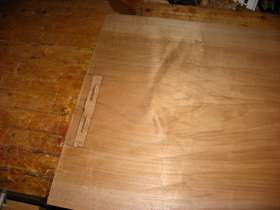 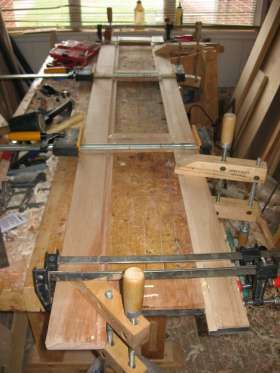 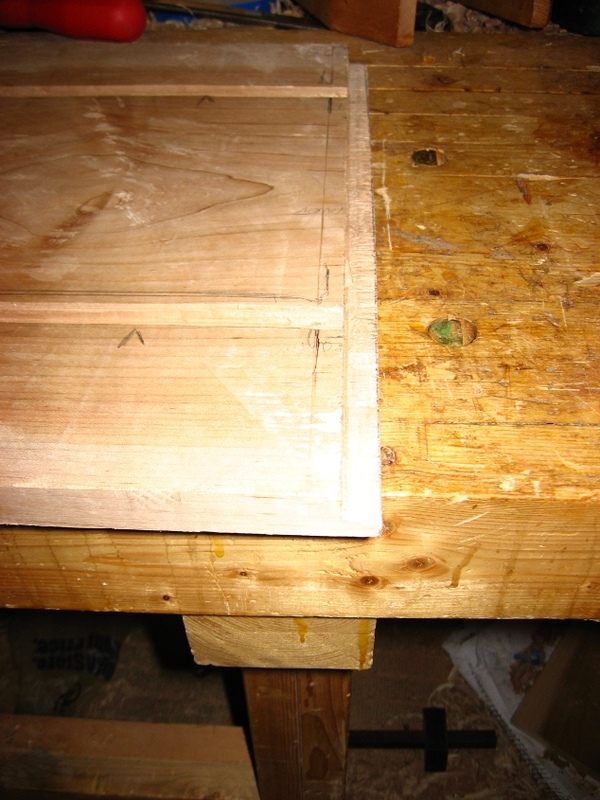 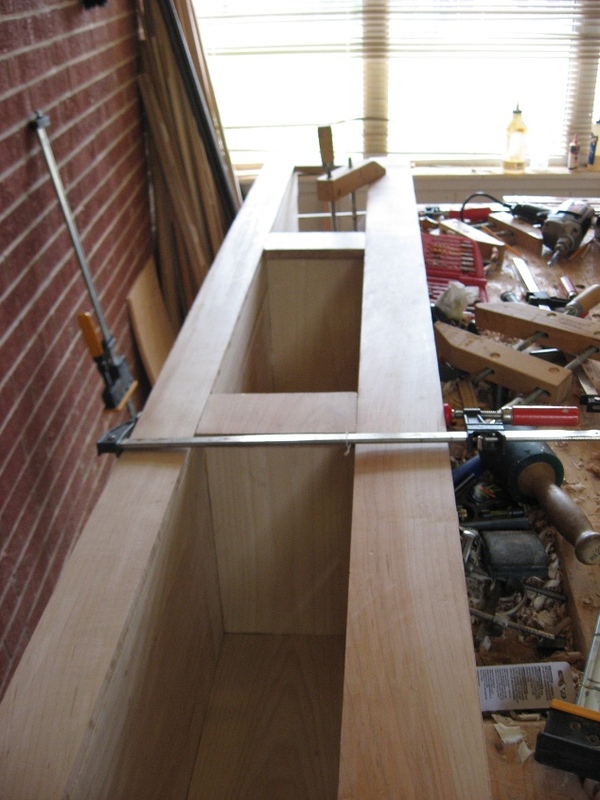 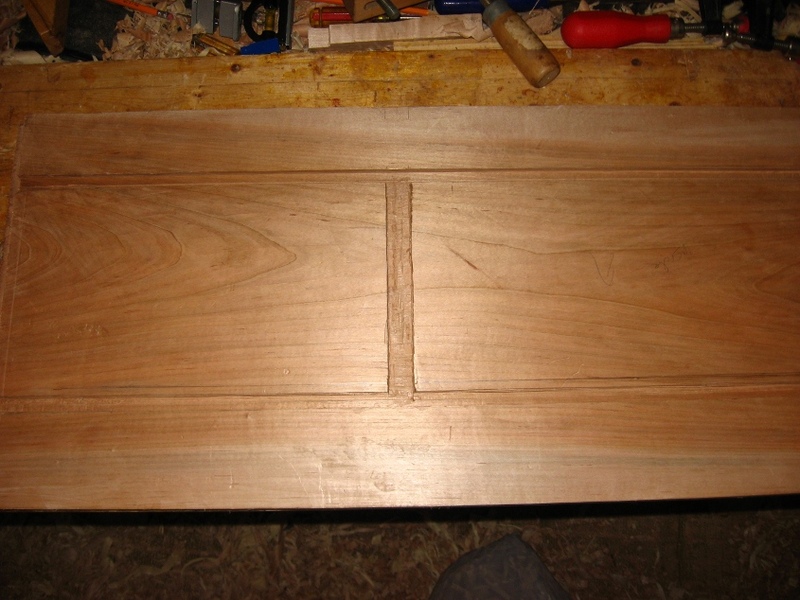 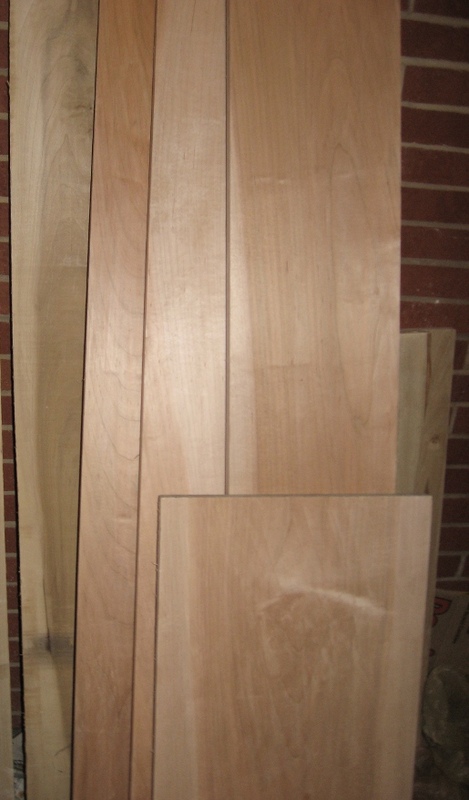 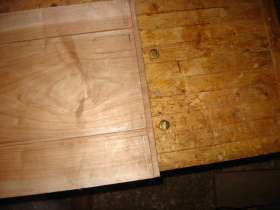 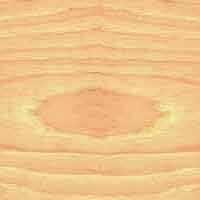 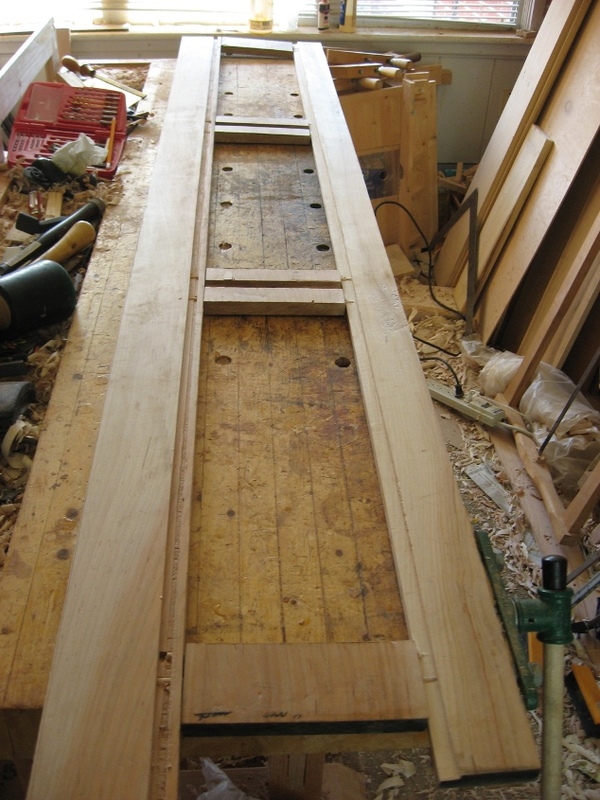 The drawer fronts and dividers were cut out of one piece of wood, to allow continous grain direction. 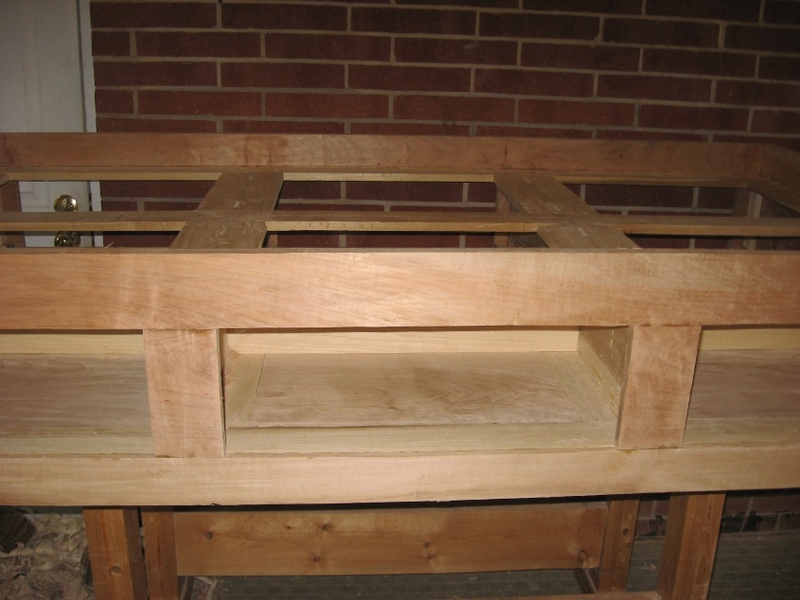 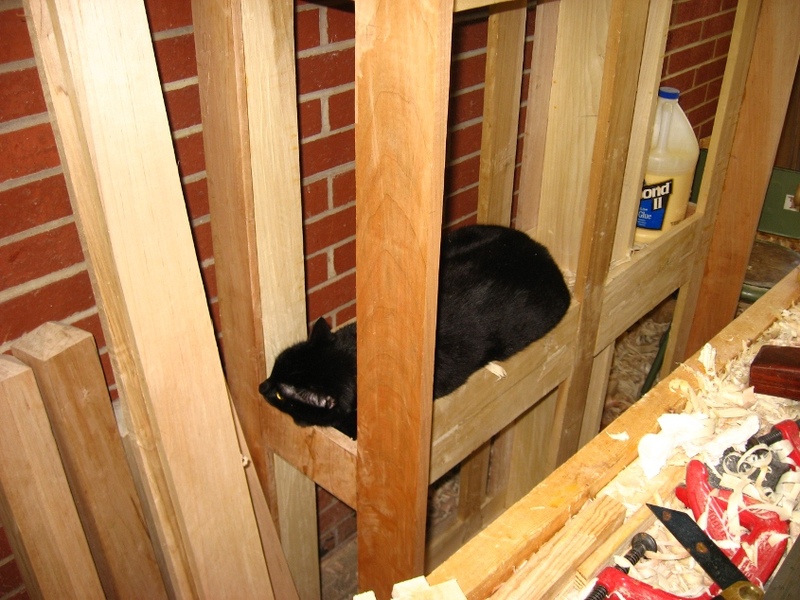 Inside, I used dowels to hold alignment and provide some extra strength. Sides, inside you can see the grooves for the center frame to attach to. 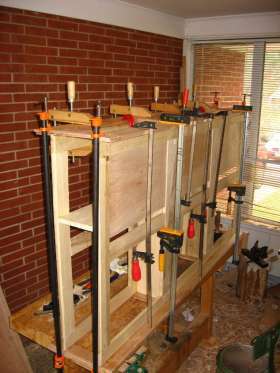 Cut out in end panels to fit frame and back of cubbies. 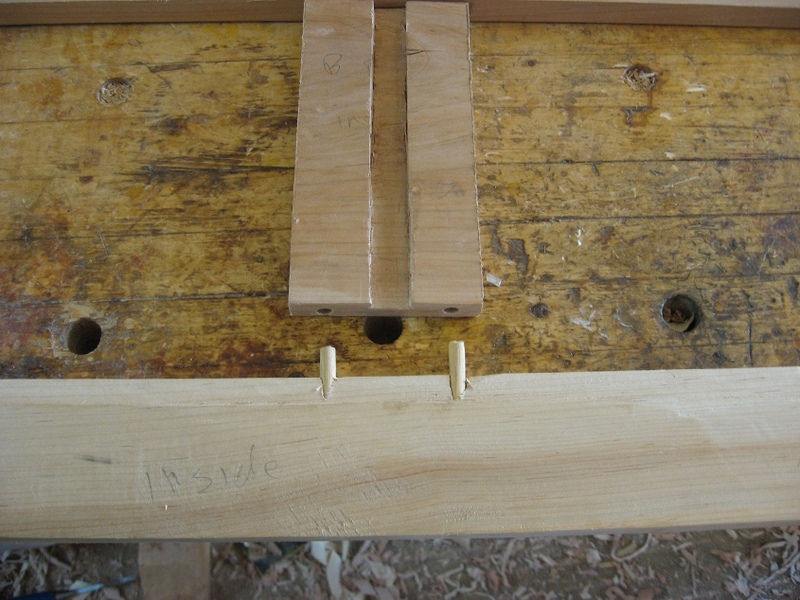 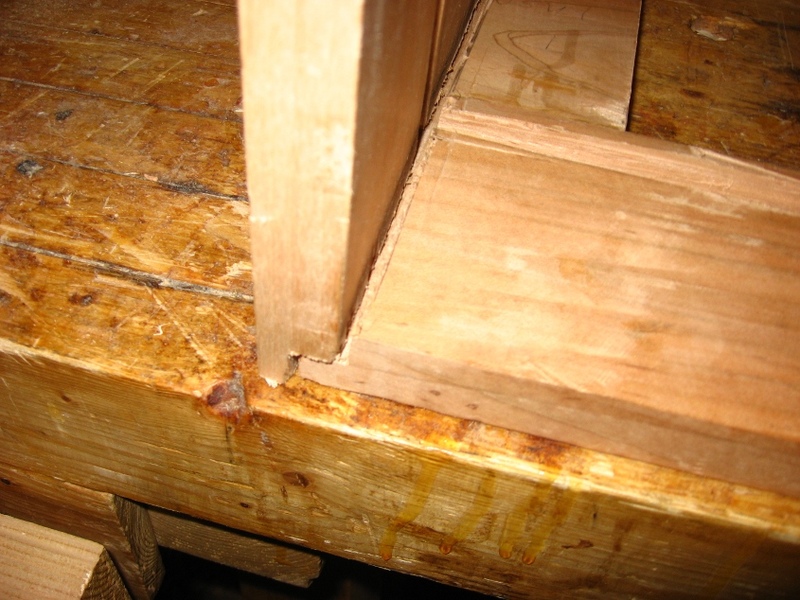 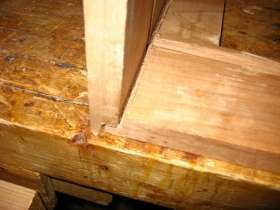 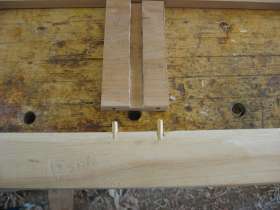 Closeup of end panel side joint. 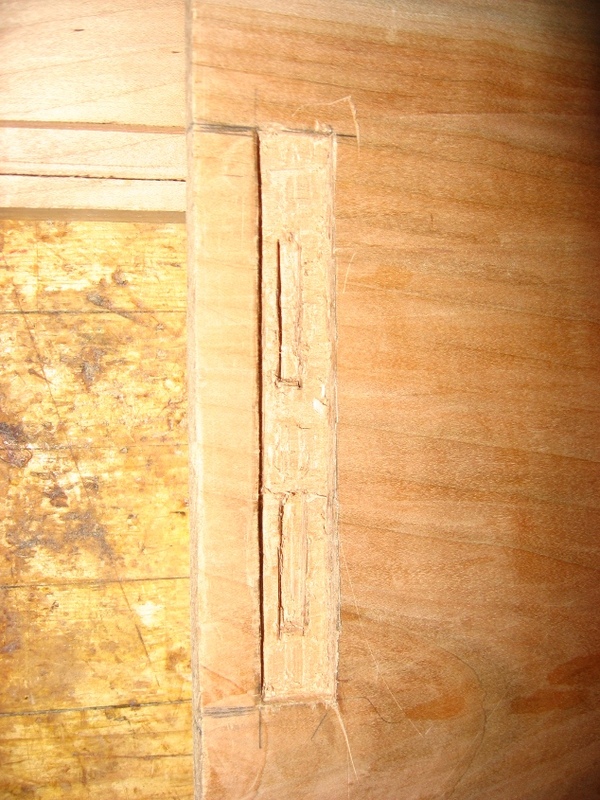 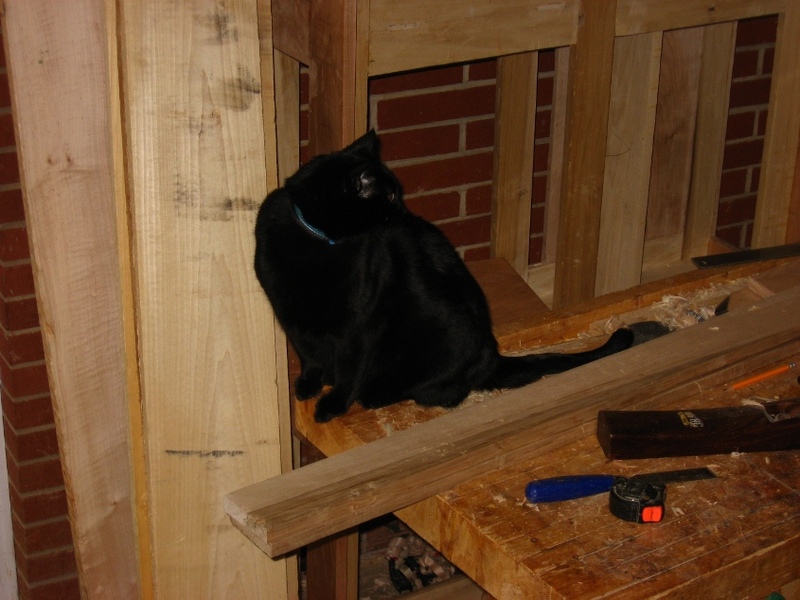 Showing how side and end panels are to be jointed. 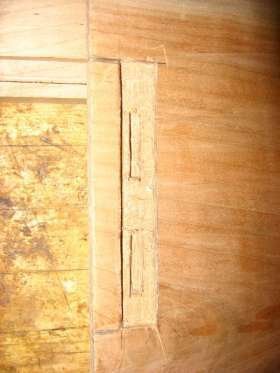 End panel showing place for bed hooks to hold on head board. Glueing sides to frame. 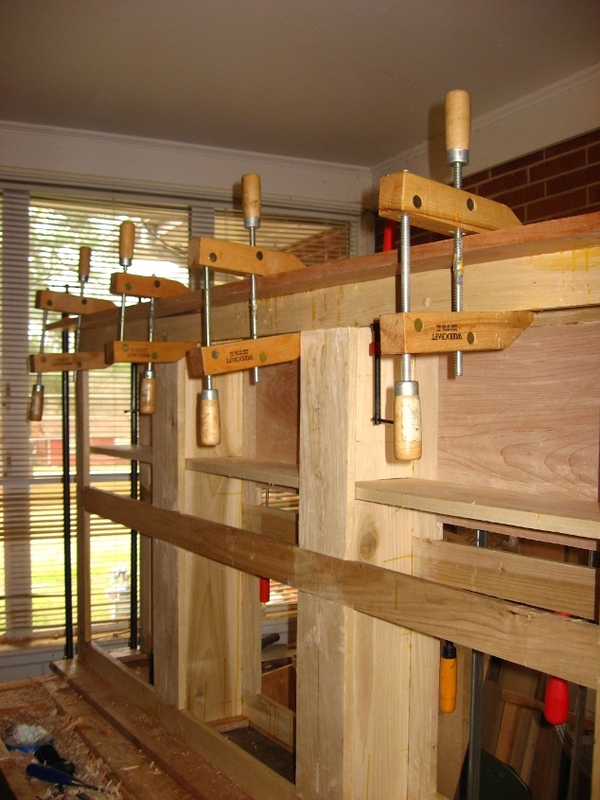 I really do need some more clamps. 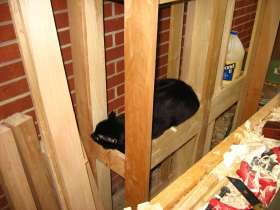 My new assistant supervising the action. Basic frame completed. 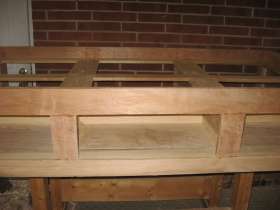 This is cubby side. The other side holds three drawes. 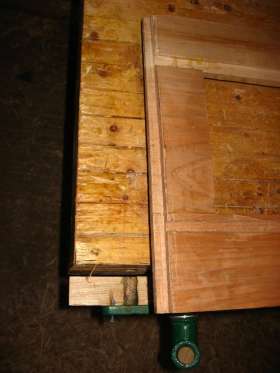 Closeup of inside of cubbies.